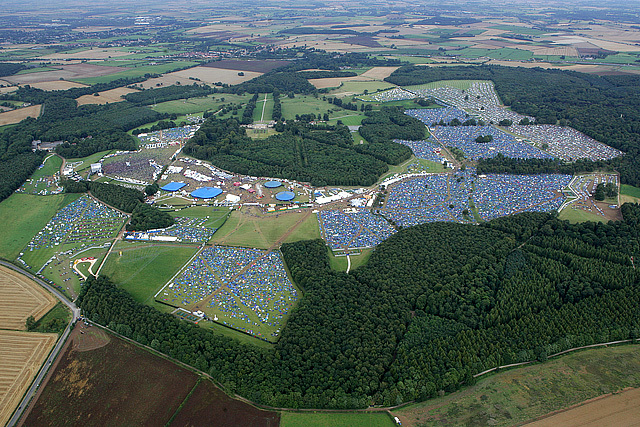 Ten random reasons why Leeds Festival was great: /1. Having a production pass. /2. MCR kick starting the festival. /3. Hanging out the side of a helicopter shooting pics of the site. (Check out this week’s NME for the poster)/4. Getting drunk with Art Brut and listening to Helen Love. /5. Matthew Rake playing us an acoustic version of Terror! on their bus. /6. Downing neat vodka with QOTSA. /7. 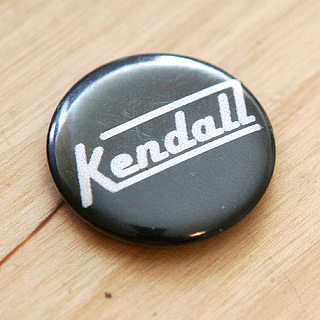 Finding a Kendall badge on The Others tour bus. (Can anyone explain?) /8. Standing at the back of the stage watching while everybody in the Arctic Monkeys tent sang along to ‘Scummy’. /9. Drinking vodka and watching The Cribs. /10. Not eating all day then having the guys from Retna blag more free McDonalds than we could possibly need. Just a quick update before I head to the pre festival meeting at the NME. 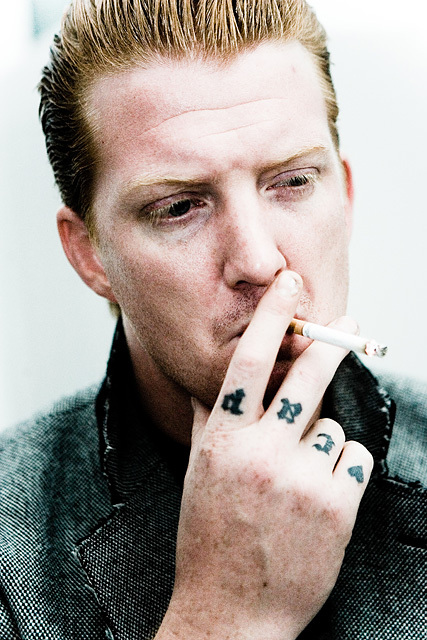 Since Monday I’ve spent most of my time doing various pics with the Queens Of The Stone Age, here’s a teaser. 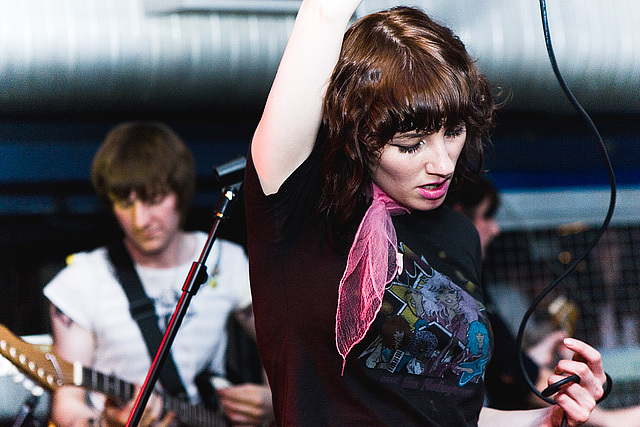 Which member of the NME staff are you? Photographs of Good Shoes at the Buffalo Bar. I’ll be a V Festival in Staffordshire at the weekend, anybody else here going? 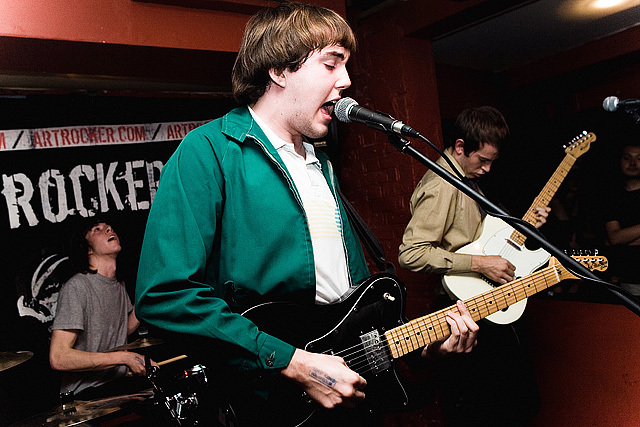 Photographs of The Long Blondes at W.H.O.R.E FEST. Help Special Needs play V Festival. More info here and here. Photographs of Gina G. Really, you wouldn’t believe how many requests I’ve had for these. 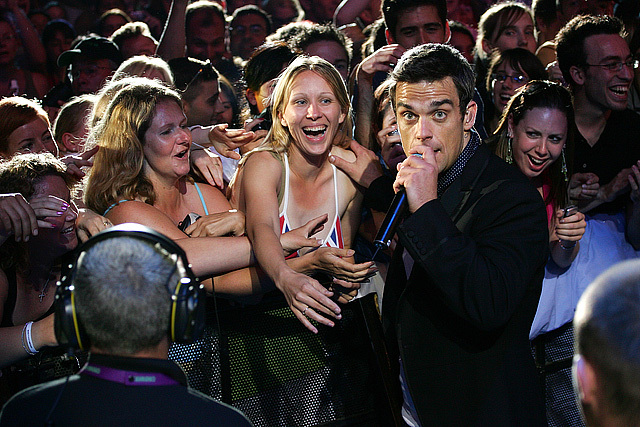 Photographs of Robbie Williams at Live 8 in London.